Cancer is the disease of the decade. According to the American Cancer Society, men have a 1 in 2 chance of developing cancer in their lifetime while women have a 1 in 3 chance throughout their life (1). Traditional cancer treatment has recently gone under the microscope to see if its many side effects outweigh its positive effects. 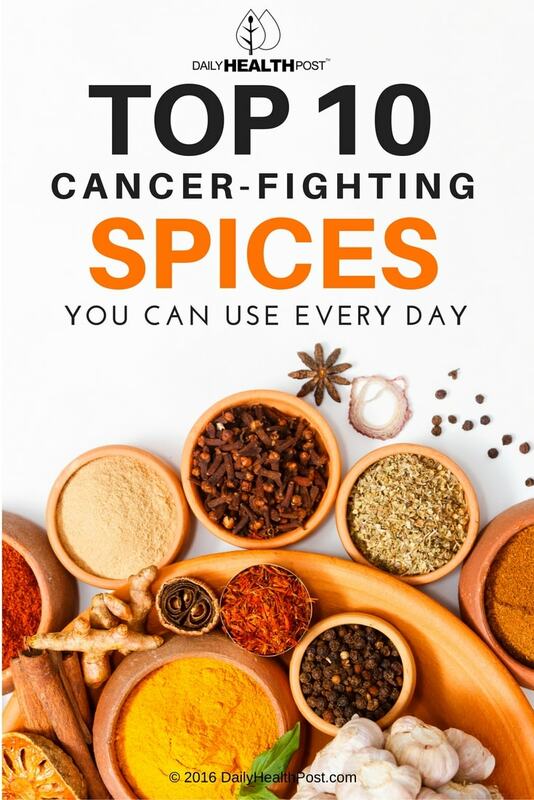 While experts are still debating on this subject, holistic doctors are suggesting that spicing up your diet can help prevent the onset and proliferation of cancer cells. 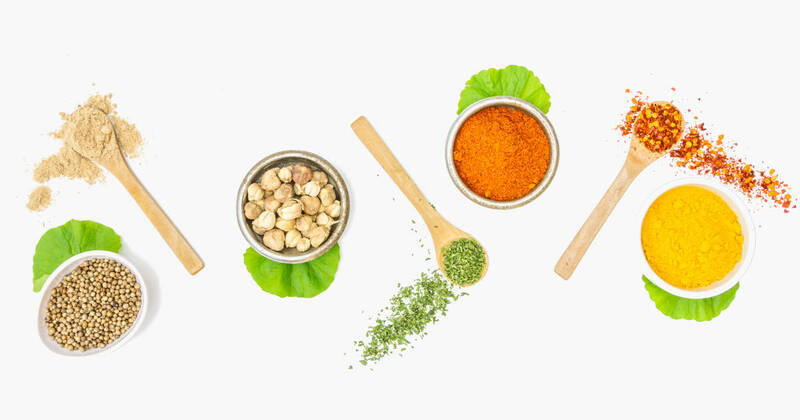 Here are a few cancer-fighting spices you should add to you daily diet! The polyphenol piperine is the active compound found in black pepper. It helps protect you from cancer by preventing the reproduction of cancer cells in breast tissue (2). Whereas chemical breast cancer prevention drugs like tamoxifen and raloxifene can be very toxic, piperine is natural and has a very low toxicity. Current research shows that it’s very promising in preventing the spread of other cancers as well(3). Tumeric is one of the world’s most powerful spices. Curcumin, its active compound, supresses the onset, growth and spread of tumours. It has a lot of potential in cancer prevention and therapy. When mixed with Piperine, its bioavailability increases dramatically to provide even more protection against breast cancer(4). Scientists are currently working to develop a formula containing ginger, which would prevent and treat skin cancer (6). Gingerol, the active ingredient in ginger, has also shown promise in decreasing growth of colon cancer cell and preventing tumours (7). Better yet, ginger extract does wonders for people suffering from inflammation. It’s been compared to pharmaceutical drugs like indomathacin in terms of potency (8). Clove is the main ingredient in traditional baked goods. Eugenol, its active compound, prevents the mutation of healthy cells caused by carcinogens. It also boosts cell detoxification. Cloves have been proven to prevent liver and colon cancer and slow the spread of the disease (8). Cayenne pepper contains a heavy-duty compound called capsaicin, which helps prevent and treat cardiovascular problems as well as protecting the body from carcinogenic chemicals (9). In recent research, cayenne pepper has demonstrated that it slows the growth of prostate cancer cells and may even have the capacity to destroy them (10). Specifically, cayenne pepper has been studied in relation to cutaneous squamous, the 2nd most common skin cancer, of which it can speed the death of cancer cells (11). Bitter foods have proven time and again to be an essential part of a healthy diet; mustard seeds are no different! The compound allyl isothiocyanate found in mustard is anti-cancerous. It’s currently being studied as a potential treatment for bladder cancer (12). Saffron comes from the flower of the saffron crocus plant. It’s also one of the most expensive spice in the world per weight. It’s most active compound, crocin, prevents skin cancer and the proliferation of tumour cells (8). Cinnamon has been used in Chinese medicine for thousands of years to treat a multitude of problems. Cinnamon extract is a very powerful antioxidant, meaning that it provides protection against oxidative damage from free radicals, which cause cell aging and speed cell death. It’s shown very positive results in treating both lymphoma and pancreatic cancer (8). Traditionally, allspice was produced by a combination of cinnamon, nutmeg and cloves. Today, however, allspice refers to ground unripe berries from the Pimenta dioica tree. The eugenol compound it contains boasts powerful anti-microbacterial and antioxidant properties. It also works as an anti-inflammatory, analgesic and antipyretic treatment. Better yet, eugenol has been proven to prevent cancer and tumour growth(8).